Being on a budget means I only dream of Mary's pieces inhabiting my wardrobe. However, I do love the style of these pieces so I am going to do my best to take inspiration from these incredible designs and work scarf/tapestry prints into my style. 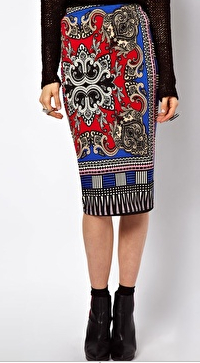 As a start, I was just delivered this gorgeous pencil style midi length skirt from Asos.com for only $35 which has the essence of the vibrancy and graphic print of the Katranzou dream pieces. 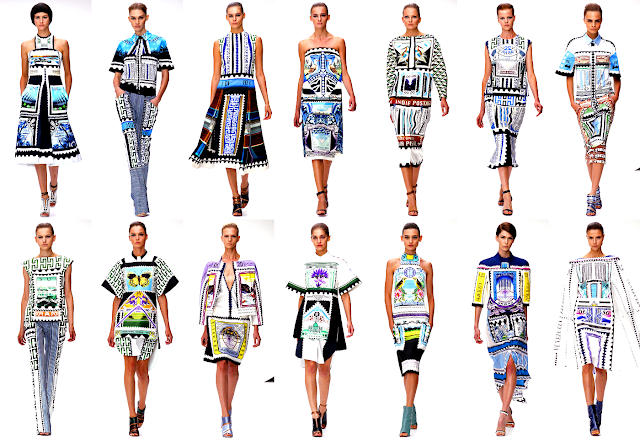 What is on your luxe dream fashion list?